3 What Is The Use Of A Car Cover? 3.1.1 What Can Happen To Your Vehicle Outdoors? 3.1.2 What Can Happen To Your Vehicle Indoors? 3.2 How Does A Car Cover Help? 4 Do You Want a Breathable or Waterproof Car Cover? Are you one of those people that does everything they can to protect their favorite car? That’s not easy to do with pollution, blowing debris, pollen and other contaminants that are present in the outside air. Even keeping your car in a garage does not save it from dust, humidity, and accidents that can happen inside that garage. There is a solution though. That’s to get yourself one of the best car covers that you can find in the auto marketplace. If properly placed on your car, they can help protect it from harmful inside and outside elements. That’s why we wrote this article. In it, you will find a useful car cover buying guide and some of the useful car cover reviews. It’s all done to make sure you have the information you need to make a good car cover buying choice. 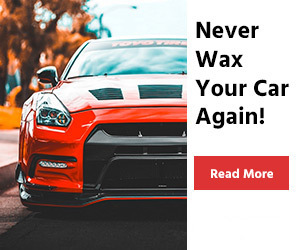 It truly is the best way to protect your favorite car from the effects of the environment you live in. After careful consideration, here is what we feel are the best car covers for the money you will spend on them. This cover will fit only Honda S2000 cars. It’s a certified original equipment product that is best suited for indoor use. Since it’s an original Honda part that pretty much ensures that you are getting a high-quality cover when you purchase this one. It is an exact fit and even covers the mirrors and has an antenna hole. 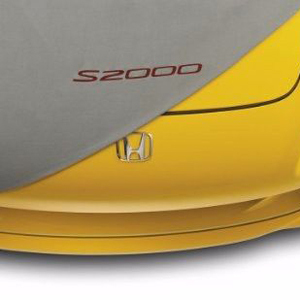 The S2000 logo on the cover is a nice touch too. It’s made of a strong breathable poly/cotton fabric that features a protective inner layer that will help protect your car’s body. There is even a patch of heat resistant material near the tailpipe area. This car cover is washable and comes with its own storage bag too. 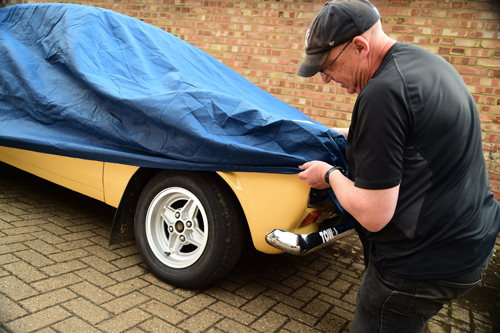 Here is the first universal car cover on our top review list. Budge Soft has designed it so it will protect any type of car that is 16’8” long or less. This car cover is best suited for only indoor use. It offers some good protection against such indoor air contaminants like dust and dirt. 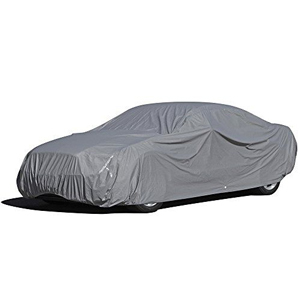 This Budge Soft car cover is made using both Nylon and Polyester. That helps make it strong and also helps keep it lightweight. It even has an elasticized hem to help it fit snuggly around the bottom of your vehicle. It’s available in 3 different colors and a storage bag comes with it. 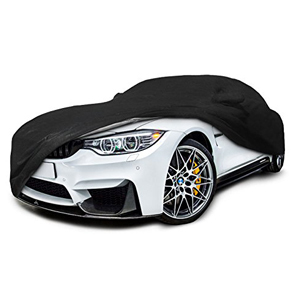 Audew has come up with a nice universal car cover design with this indoor/outdoor car cover. It has 6-layers that are made up of such materials as aluminum film PE, EVA, and Cotton. That adds up to some nice all weather protection for any sedan or SUV that’s 167’’-190’’ long. There is much more you get with this car cover too. It is a 100% waterproof cover. The cover also comes with included bottom straps and buckles to help it fit securely. There also is an attached reflective warning band and it comes with a deluxe storage bag too. If you own a luxury vehicle like a BMW you certainly want to take as good of care of it as possible. This nice cover will help you do that. It’s made to work with several different BMW models. They include the any 2007-2019 BMW M3 320i 328i 328d 330i 330e 335i 340i. This cover is made tough thanks to its heavy-duty 5-layer material. It offers UV ray and dust protection and is also 100% waterproof. There are even straps, buckles and grommets that come with it to help fasten it securely. It even includes two mirror pockets and a storage bag. Do you own a nicer SUV that you would like to keep from the elements at times when it’s parked? 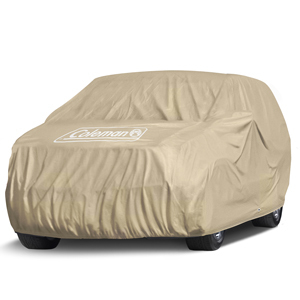 Then you will certainly want to take a closer look at this nice SUV cover from Coleman. It will protect any type of SUV that is 190″ or less. This indoor/outdoor car cover offers excellent all-weather protection. It’s made using durable and rip-resistant material that is also 100% waterproof and offers dust and UV protection too. This car cover even has an elasticized bottom and strapping to help it fit snuggly. It also includes its own cover storage bag. This is a very well-built universal car cover. It’s made by OxGord which has a good reputation in the car cover making industry. It’s a quality dual outer shell auto cover that is 100% waterproof and also provides a layer of UV protection. The non-abrasive fleece inner lining helps keep your car’s surface unblemished while the cover is on. 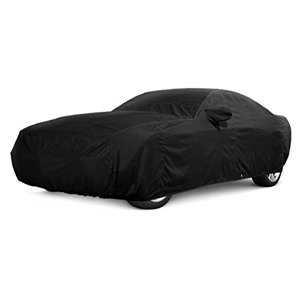 This vehicle cover will fit most cars and mid-size SUV’s up to 204” long. The company has built elasticized hems into it to help give it a semi-custom fit. There are also strategically placed drawstrings designed into it. When you are not using the cover it stores easily in the bag that comes with it. Are you feeling left out because we have not reviewed any hatchback vehicle covers? Well, here you go. This is a great universal hatchback auto cover from Duck Covers. It’s specially made to fit the unique contours of hatchback style vehicles that are up to 13 ½’ long. This cover is made tough and provides a fully breathable semi-custom fit. Its 3 layers of material are water resistant and help guard against UV ray damage. The inner layer is made using a softer material that won’t scratch the paint. 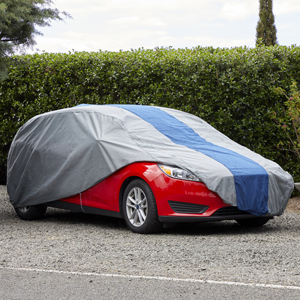 This car cover is also very sporty looking and is backed up by a 3-year manufacturer’s warranty. Here is a car cover that’s made for a variety of different Corvette models that were made from 2014-2019. It’s suitable for both indoor and outdoor use. 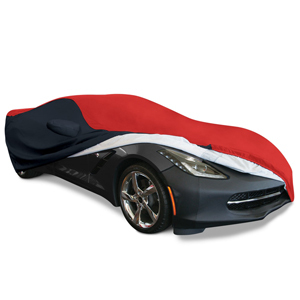 This car cover also is done up in black, red, and white to give it a nice look when it’s covering your Corvette. It’s made using water resistant 300 Denier polyester materials. Due to its polyester durable and strong weave design, it also offers your vehicle some nice UV protection from the sun’s rays too. This cover comes nicely backed up by the manufacturer for a whole year and there is also a storage bag included right in the package. 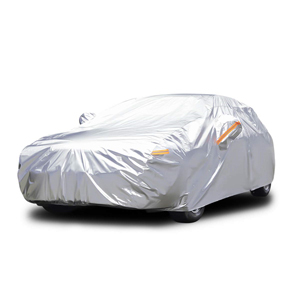 Here is a car cover from the reputable cover manufacturer Kakit. 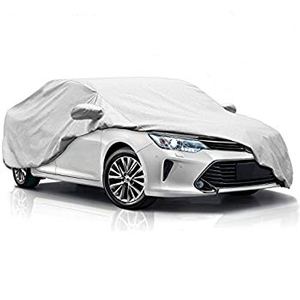 This custom car cover from them is specially made to fit only Toyota Camry models that were built between 2010-2017. It offers 6 full layers of protection when it’s resting on top of your Toyota car. It nicely offers both waterproof and windproof protection for your vehicle when it’s not being used. This cover is made out of high-quality, nonwoven fabric with double stitched seams. It really is one tough cover because of that. That is also a built-in securing strap across the bottom. Kakit offers a 30-day money back guarantee, 3-year warranty and free storage bag with the purchase of this cover product. This cover is made of solution-dyed acrylic fabric to give you the strength and UV protection you need from your cover. Not only does it offer strong UV ray protection but it also protects from dust, bird droppings, and other airborne contaminants. There are grommets along the bottom to help secure it and it comes with a free cover bag too. Here are the characteristics to look for when shopping for a new car cover. Like selecting any product such as a car cover or the best backseat organizer, there are many things you need to consider before purchasing it. When you are shopping for a new car cover you will notice some of them offer a custom fit and others are universal in style. It really does not matter which style you choose as long as you can snug it up to fit using straps, elastic hems, and drawstrings. Universal covers are much more forgiving when you go to put them on. It’s because of the extra working room they offer. You may even be able to use them as protection for more than one vehicle. We just talked a little bit about choosing a custom or universal cover. That is part of the battle when getting your cover to fit correctly is concerned. It’s very important that if you do not choose a custom cover that you know the size of your car. You have to carefully match that up with the size recommendation the manufacturer suggests for the cover you are thinking about buying. Most cover dimensions will be given in inches or feet and you don’t want to cut it too close. If you measured your car to be 180” then don’t get a cover that measures 180” in length. It will give you no wiggle room if you measured slightly wrong. The main reason that most people purchase an auto cover is to protect their vehicle’s finish. The elements can do an unbelievable amount of damage in a short time if your vehicle is exposed to them. 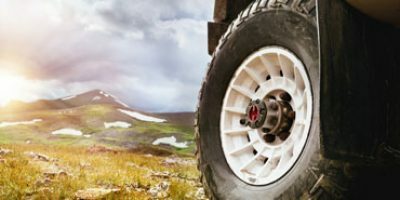 Here are some of the most important vehicle protections you get from covers and why you need them. The suns powerful rays can impact the finish and exposed inner areas of any car, truck or SUV. Be careful when checking to see if your new cover is waterproof or water resistant. If it’s only water resistant moisture will get through it and sit on your car’s finish. There is just a whole bunch of bad things in both indoor and outdoor air these days. Many of them can hurt your vehicle’s finish and make it look bad too. Keep in mind that not all covers are 100% waterproof or offer complete UV protection. Read the specs carefully before purchasing to make sure you get the types of protection you want from your cover. Not all covers are made to be used indoors or outdoors. Outdoor covers tend to be thicker and heavier to protect against such things as rain, snow, UV rays, and bird poop. Indoor covers tend to be the opposite. They are usually made of thinner and lighter materials and often are not waterproof. Other factors will determine which type of cover you buy too. These include the type of climate you have in your area. An indoor type cover may work fine in an area that is mostly sunny all year round. There is nothing that says you can’t use an outdoor cover indoors either, it will probably be just a little harder to put on and take off. Once again there are so many different types of car covers in the auto marketplace to choose from. It will almost drive you crazy when looking at all the different materials they are made of. Keep in mind that the toughest materials that offer good protection are multiple layers of such materials as nylon and polyester. These also shed water very well and help keep cover weight down. If you want UV protection, look for a cover that has a layer of aluminum film. A good soft inner lining is always desirable too to help protect your auto’s finish. Some car covers are such a tight weave that absolutely no water will ever penetrate the material. The exact opposite is out there too. Some mesh covers will let any type of moisture right through. There are also covers that sit somewhere in-between these polar opposites in breathability too. So choose a cover that offers the amount of breathability you want. If your cover does not fit great because it’s a universal cover then you will need to make it fit to work right. This is done by using straps, roped through grommets or by built-in tie downs. Make sure you know how any cover you are thinking about buying is constructed and if any additional straps come with it. If not you will have to go buy some ratchet straps or other materials to secure your auto cover. Just like you will find all different types of car covers in the marketplace, so too will you find all different warranties that come with them. Some covers not only have good warranties but they will also come with money back guarantees. Others will have virtually no warranty at all. Look for a warranty that covers your vehicle cover for the longest period of time possible. A warranty is even a good deciding factor when choosing between two similar auto covers. Think of your car as a home. When you own a home you try to keep the outside of it looking good. You also do that to help your home maintain its value too. It’s really no different with a car. You want it’s exterior to look good because it pleases you and it will also keep its resale value higher. We already briefly touched on the main differences between indoor and outdoor car covers. To be real it takes a little beefier auto cover to protect your car outdoors than it does to protect it indoors. That’s why indoor covers tend to be thinner and more breathable and outdoor covers tend to be thicker and completely water and dust proof. If you walk outside on a windy day and get pelted with blowing sand or dirt you feel it when it hits any exposed area of your skin. This same sand and dirt will impact your car with the same force when it sits outside. Not to mention you have damaging rays from the sun and all sorts of other factors that can damage the finish on one or more of your vehicles. That’s why so many people choose to cover their cars, trucks, and SUV’s. These are all things that over time will diminish the look of your car’s finish. Even if you don’t feel you need a car cover when your vehicle is stored indoors put one on anyway. It will give you the peace of mind of knowing your stored car’s finish now has some protection. How Does A Car Cover Help? We just listed a whole bunch of different contaminants in the air that can damage your car when it sits inside or outside. When you put a cover on your car you are adding a barrier in the form of a layer of material that goes between the contaminants in the air and your car’s delicate finish. Depending on the quality of your cover, you will stop many contaminants from getting through to your vehicle’s finish. Do You Want a Breathable or Waterproof Car Cover? The best way to decide which one of these cover types you want is to list the advantages each type offers you. Here they are. Once again a big part of your car cover buying decision depends on what you want to protect your car from and the conditions where it’s being stored. 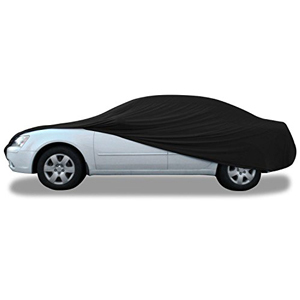 If you choose a custom car cover installation will be a snap. All you have to do is stretch your cover out and make sure it’s facing the right direction before you put it on. Once this is done it will go on easily and fit snuggly. Use any strapping that comes with it to fasten it securely. Unfortunately, universal auto covers take more work to put on. Here is how that’s done. Step 1: Grab your spouse or a friend if they are around to make it easier. Step 2: lay out the cover to the side of the vehicle and orient it by shape as best as possible. Step 3: Start placing the cover over the highest part of the vehicle and work towards the front and back. Try to keep the material as even as possible on all sides. Step 4: Work the excess material towards the bottom of the vehicle. Wrap the excess inside the elastic hems if your cover has them. If not use straps or ropes to secure the cover firmly without leaving excess cover that can be caught by a wind gust. Question: I have heard that some car covers we be abrasive to a car’s surface if enough dust collects on them. Is that true? Answer: That is very possible if the dust gets heavy enough. There are two ways you can avoid this. One is to periodically remove your cover and spray off the car. The other is to make sure your cover has a soft inner lining that will protect against this. Question: How do you feel about using ropes to further secure a cover on a vehicle? Answer: I like it and I don’t like it. I am all for using ropes to secure a car cover as long as the bottom of that cover has grommets. If it doesn’t those ropes can really harm your cars finish if they move. Question: I have been told never to park your car under a tree because bird poop is corrosive. Is that true and does a cover protect from this? Answer: the answer is it’s absolutely true. Over time bird poop and urine can do much damage to a car’s finish. Covering your car with a solid and waterproof auto cover will definitely help. Also, read all about our hands-on steering wheel lock reviews. Let’s face it. There are many bad things floating around in the air these days. You have everything from common dust and dirt to several different types of pollutants. All of these harmful contaminants both outside of your home and inside your garage can wreak havoc on your car’s finish. If that car is a favorite of yours, you certainly do not want that to happen. That’s why you need the best car cover to protect your car. With this article, we wanted to help you narrow down easily a large number of car cover choices there are in the auto marketplace. Our informational car cover buying guide will be a big help there. You can never go wrong purchasing one of the covers we did car cover reviews on either. So use this information to help you find the right car cover for your individual needs.